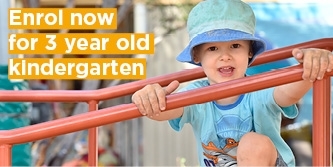 At Copperfields Preschool we've created a nurturing, trusting and caring environment that focuses on celebrating and encouraging each child’s uniqueness and creativity. We provide a high quality and innovative educational program for your child. Play-based learning is at the heart of our programs. Play helps children understand their world by “playing out” what they have seen in the real world. Play also assists children in learning and discovering in an interactive environment that's responsive to their needs. This enables children to communicate with peers comfortably. Our programs are designed to cater to your child’s interests and needs and to help them develop wide-ranging abilities, attitudes and skills that will assist in their lifelong learning journey. Our experienced and dedicated educators create an environment where your child is encouraged to form basic concepts to help them understand the world around them. We will challenge your child to solve problems using a range of strategies and will demonstrate the importance of persevering with tasks. Your child will participate in pre-reading, writing and mathematical activities. These programs give children the chance to reach their potential and to start school with a positive learning experience. 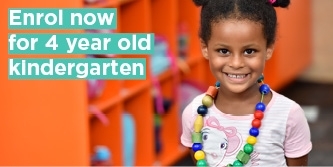 We collaborate with families to ensure a smooth transition from home to kindergarten and the journey to school. As a community-based kindergarten, we engage with a variety of community groups such as maternal health and childcare centres. We collaborate with the nearby secondary school on community projects and students participate in learning programs with the children under the supervision of our educators. We have a large, well developed outdoor environment with magnificent trees, shrubs, flowers and native plants. Your child can engage their senses as they interact with our indoor and outdoor environments. Areas are set up to provide opportunities for your child to play alone and with their peers. Much of our kindergarten equipment is made from beautiful natural materials that we continually update to provide open-ended activities and places to explore.